This week for Top Ten Tuesday we were given a lifeline in the form of a freebie. 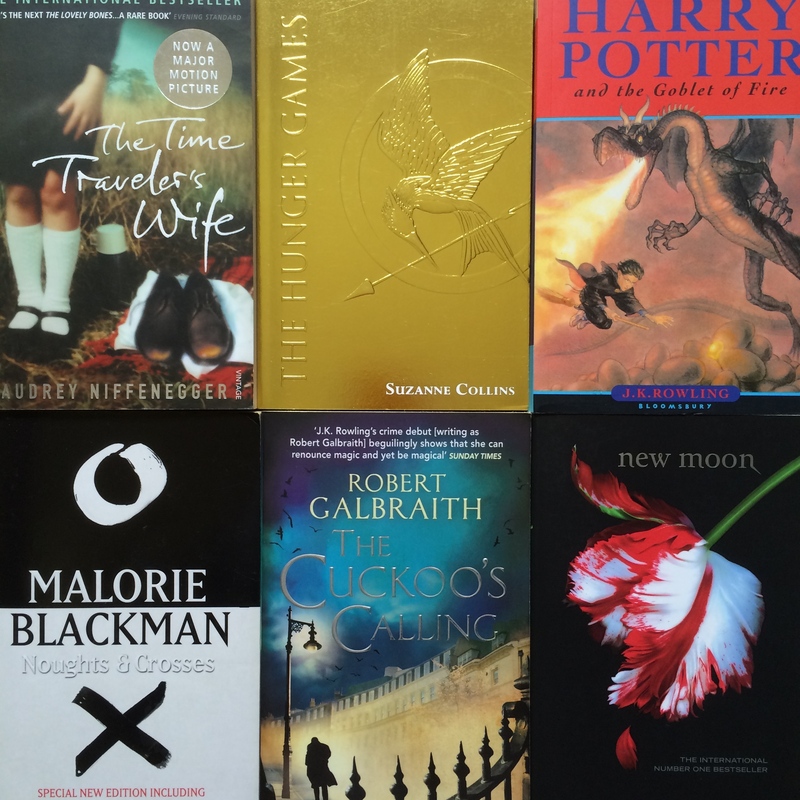 With the UK being on the cusp of “summer”, I’ve decided to list the ten books I’d take with me (as if I’d ever be afforded the choice) if I were stranded on a desert island: some I’ve previously read, others I’ve yet to delve into. A good mixture, I think. As dark and depressing as this book is, I never get bored of reading it, and I always gain some new insight into human character. It’s a book that stays with you for long after reading it. I do things properly – there’s no evading the ten books by quoting ten series – so I’ve chosen my favourite of the Potter novels (thankfully it’s a long one), which I never get tired of re-reading. I think ‘The Hungers Games’ may prove useful to my survival, at least in terms of the most important factors to remember when exposed to the elements. If nothing else, it is an incredibly exciting read. A mystery/thriller novel is a must. Since I’ve only read the book once, it would be great to revisit it and see whether (knowing the outcome) I pick up on the hints dropped throughout the novel. As my favourite stand-alone novel, ‘The Time Traveler’s Wife’ was a must. It is a beautifully told sci-fi love story, which fills me with every emotion under the sun. I’ve not as yet managed to venture into this epic literary work, but being stuck on an island would at least afford me the time to delve into Middle Earth. I’m told that this is one of the best of the bunch, and coincidentally is the next one in the series that I have to read. Since it took me approximately 18 months to read ‘A Clash Of Kings’, I have a great deal of hope that this book would take me a long time to plod through! I’d better have some sort of idea about how to survive on a desert island, so I’m hoping this will be helpful?! It must be, surely? I’ve never attempted to read any part of The Bible, but being stuck on a desert island would surely provide me with opportunities to turn to it. I also think it would be rather interesting to study, and I’d certainly have plenty of time for that. Have I missed any obvious choices? Let me know in the comments.